It is important that your credit should be in a good shape before applying for any type or form of loan. This will help you to see what your credit status is and that you have the correct information for the loan application. You should know that the lenders will always do a credit check on you before granting you that much needed loan and if your credit is nor good and the lenders see it, then it will reflect on your credit report. In South Africa there are hundreds, if not thousands of lenders and they all have different lending programs for their customers. It is of utmost importance that you know where you stand on the credit ladder before you apply for a loan. By doing this will help you not to apply for a loan that you will not be able to get. By being aware of what is going on in your credit report will help you to apply for a realistic loan that you will be able to obtain. If you find any disputes or errors on your credit report, then it is very important that get these problems and errors corrected as soon as possible. Things like accounts that people have never opened are common mistakes on credit reports and it will bring down your credit report. Makes sure that you list all of these problems and report them to the creditors directly. By knowing what is going on in your credit report will also help you to calculate your interests a lot easier. You will find that if you apply for a loan without knowing what is going on in your credit report you can face some obstacles and limitations. By knowing what is going you will be able to have an honest discussion with the lender on a realistic and affordable loan for you. One should only decide to apply for a loan if you are 100% aware of what is going on in your credit report. The creditors will always want to see your income and would like to know how much you want to borrow and for what purpose. You will see that if you apply for a loan with bad credit, and the information is correct, then you would most likely be forced to provide them with some sort of collateral which is the same value of the loan. The reason for this is to reduce the risk you are to the lender. If you fail to adhere to the terms of the loan then they will take the collateral to pay for the loan. 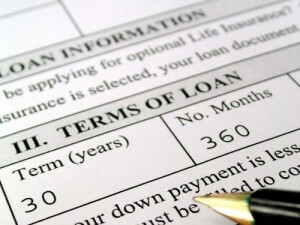 It is important that you are armed with this information before applying for a loan. Knowledge is power, and people should always gain as much information on the topic as possible. Get your credit report today in order to get a successful and affordable loan.